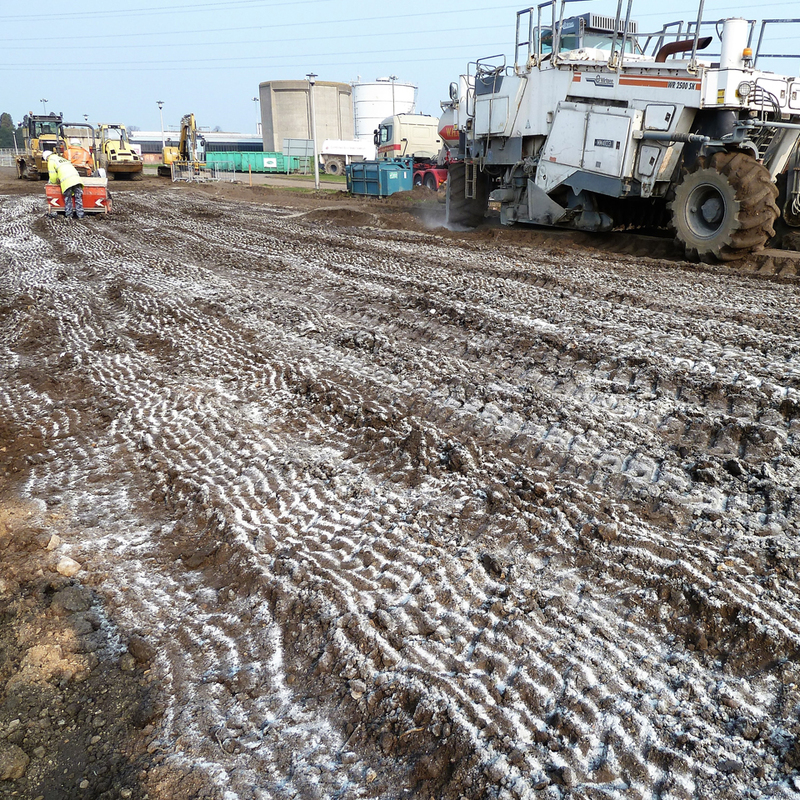 Soil stabilisation is a modern and efficient method of site preparation offering substantial benefits to the contractor. The prime objective of soil stabilisation is to improve the bearing ratios of soils. Stabilising existing soils with binders like lime and cement create a solid and strong sub-base and base courses. 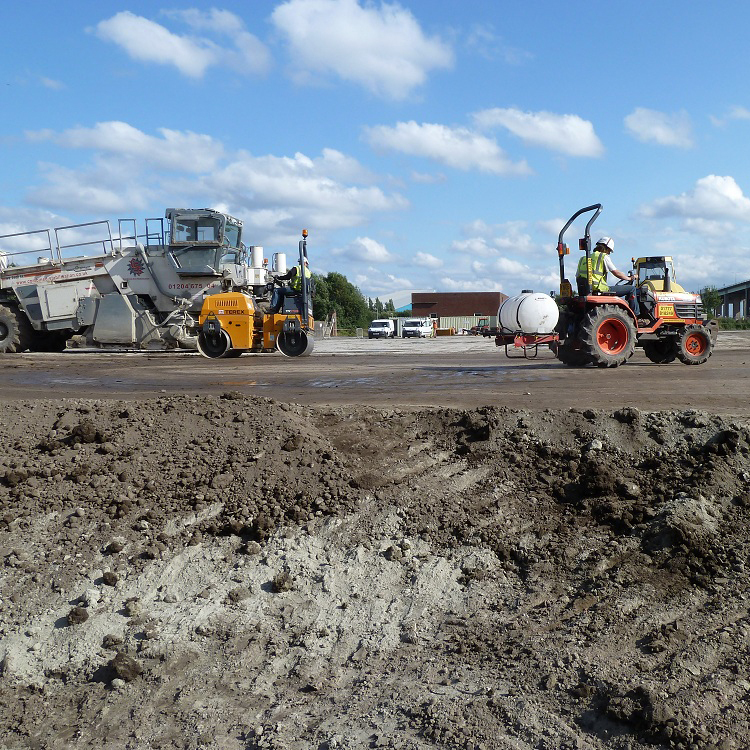 This method can often be more efficient on many levels by saving site preparation time, saving money on the traditional dig methods in landfill tax, minimising waste, and reducing environmental impact due to less vehicle movements. Soil Stabilisation requires a specialist approach, with experienced specialists thin on the ground, DNS really shine though as a leading performer in this field.